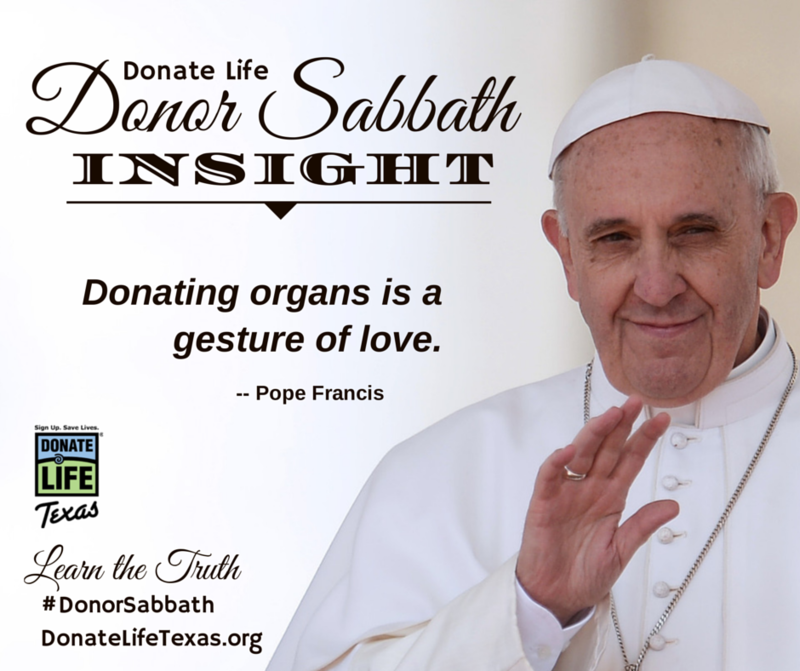 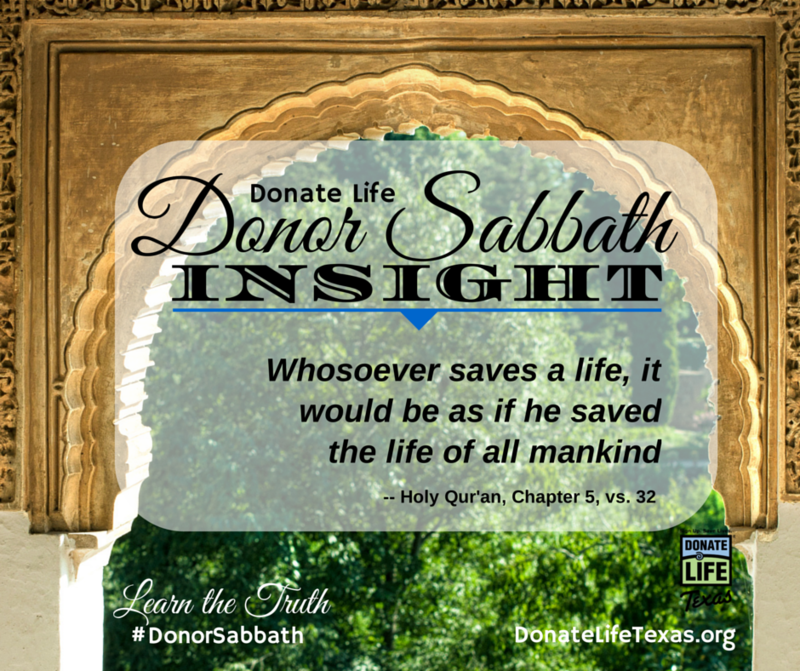 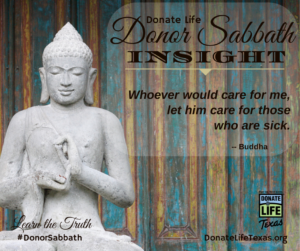 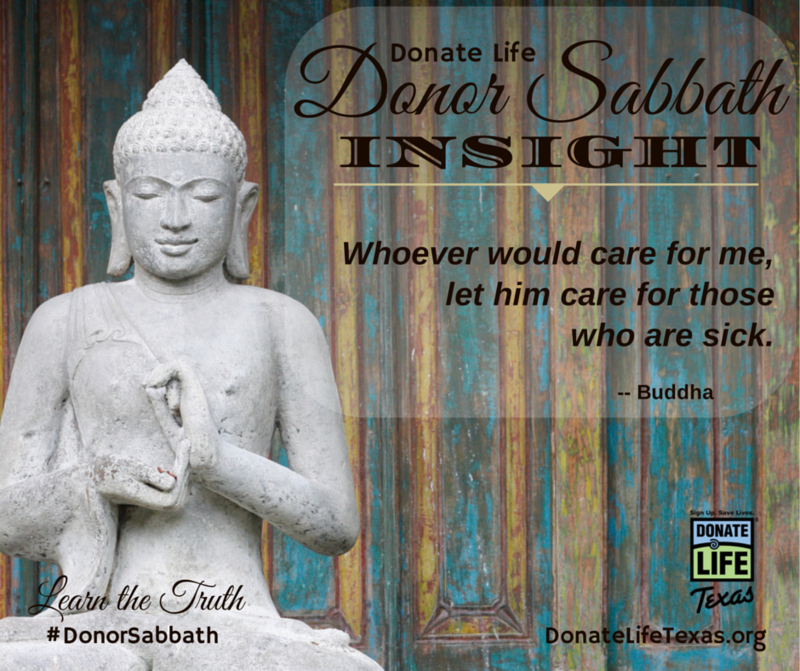 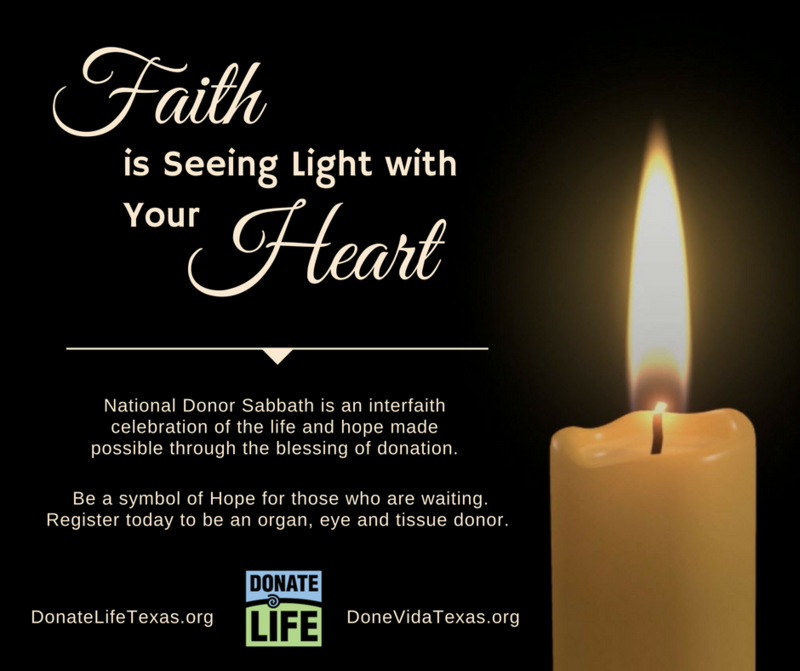 Donate Life Texas invites you to join in celebrating the National Donor Sabbath this November 11-13. 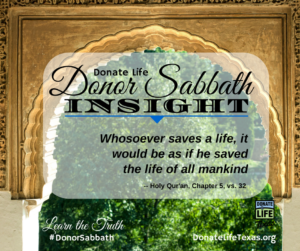 This national observance is a time for people of all religions to honor those who have given the precious gift of organ, eye and tissue donation. 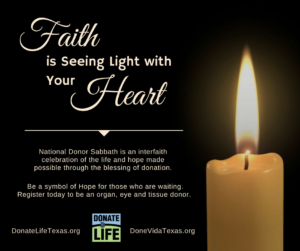 Every year during this special time, donation and transplant organizations work closely with faith communities to bring the message of donation to congregations nationwide. 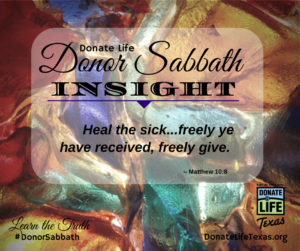 Faith plays a significant role in the decision to register as a donor. 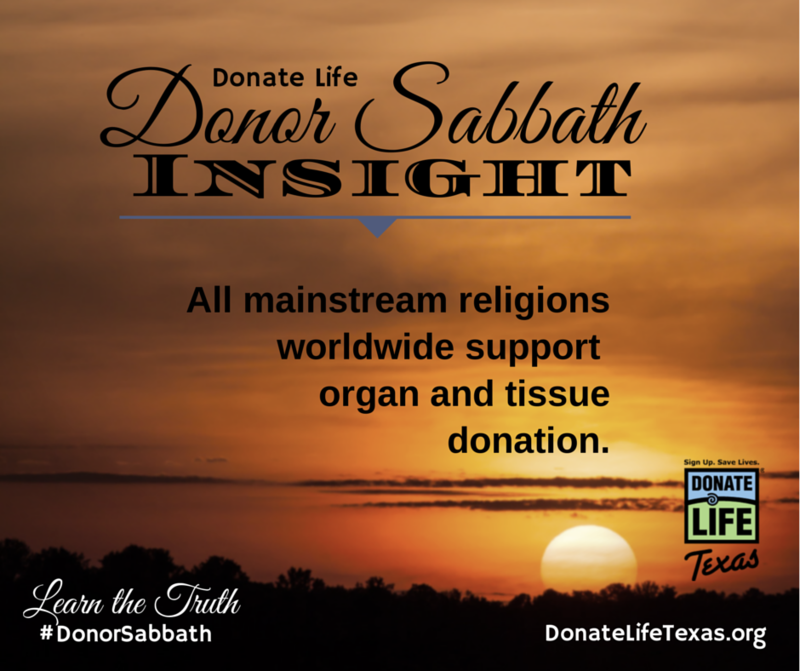 All major religions support organ, eye and tissue donation, and believe it to be a final act of kindness and generosity. Many faith leaders focus on the gifts of hope passed to others by supporting donation and transplantation. Professionals in the health care community bring awareness to all worship groups across the nation. 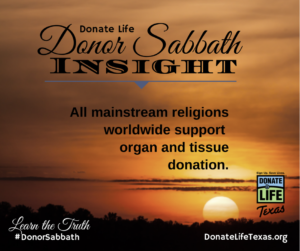 While religions differ in many ways, the commonality among all of them is the sharing of positive, inspiring messages that instill hope. 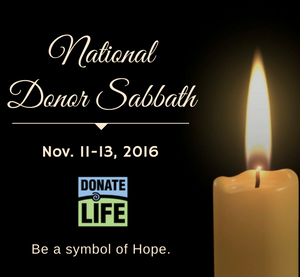 The National Donor Sabbath provides an opportunity for faith communities to share their views and join in the conversation. 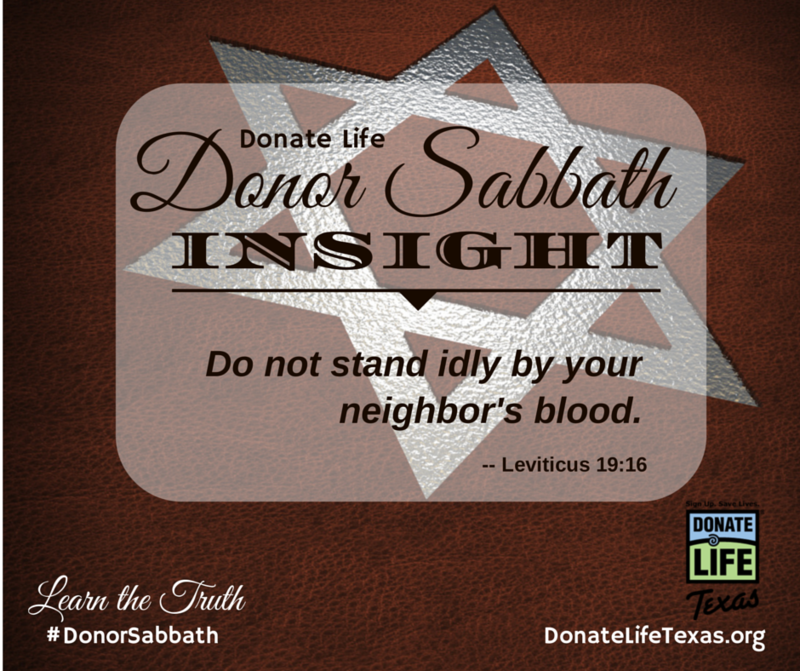 Download these National Donor Sabbath graphics to post to your own social media or share with your house of worship for their website or social media. Next Next post: We Just Turned 9 Million!